this is a list of the most questions which are frequently asked when any tourist think in traveling to egypt. Q: We�re going to Egypt in the near future. Do we need a visa? How much do visas cost and where is the easiest place to get them? A: Yes, you will need a visa. They cost $15 (US) per person. Please contact the Egyptian Embassy or Egyptian Consulate nearest you. In the US, look for consulate locations here. For quick visas, look here. A: You can obtain a visa in Luxor as an exceptional case if it is difficult for you to get your visa otherwise. Normally you need a visa before traveling. Q: Could you tell me if UK nationals require a visa if restricting their visit to the Sinai peninsula? A: UK nationals need visas to enter Egyptian land, which the Sinai is. Q: I have just booked a week�s holiday in Luxor. At such short notice it will be too late to apply for a visa. 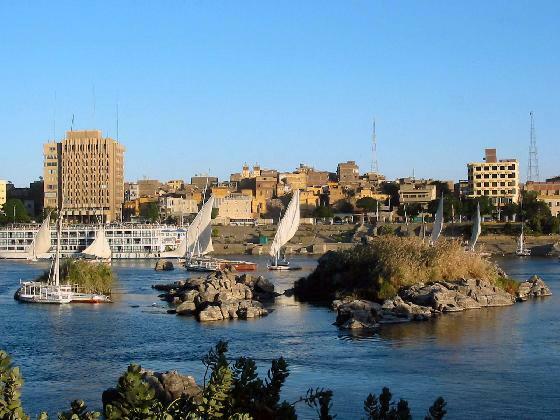 I am told that this won�t be a problem, and that I shall be able to obtain a week�s visa when I land in Luxor airport. Would I need anything special, (other than my passport) before this visa would be issued? Q: Would you know if visas are available at Hurghada Airport for tourists from the Netherlands? Or would it be better to apply for visas at the Egypt embassy in the Netherlands? A: It would be better to apply for visas in the Netherlands before traveling. A: Yes. You will be able to obtain your visas at an Egyptian airport when you arrive. Q: My wife and I are US citizens and hold US passports. We are currently living in Shanghai, China. The travel agency here in Shanghai can�t arrange the tour of our choice so we contacted our travel agent at home and they will set up the tour but they have to have a copy of our Egyptian visa. How can we obtain an Egyptian visa this quickly? 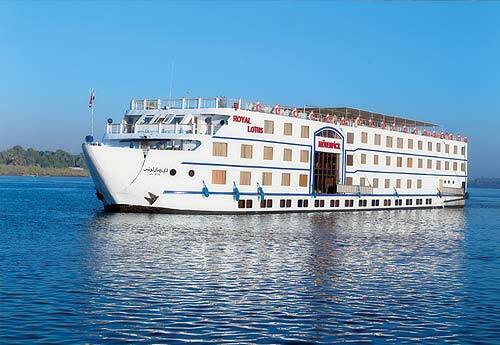 Q: We will be touring the Holy Land as well as the pyramids and I plan to take a cruise down the Nile. My son tells me I will need "multiple entry visas." Can you tell me where I obtain these? Q: My family and I are traveling to Egypt. We have passports, however, we do not yet have visas. Will we definitely be able to get a Visa when we land in Cairo or should we get one ahead of time? A: You will need visas before you travel. Please contact the Egyptian Embassy or Consulate nearest you. Q: I am a South African student studying in England. As a South African I believe that I don�t need a visa to go to Egypt. Is this true? A: You do need a visa to go to Egypt. You will be able to obtain your visas at an Egyptian airport when you arrive. Q: I�m a Palestinian working in UAE and I have a residency here. I have a Passport from Lebanon. I�ll marry this summer in Lebanon and I�m looking for a country to spend the honeymoon. It seems that Egypt is one of the countries that is really worth to visit but can we get visas? A: You will need to apply for a visa approximately eight weeks ahead of time. Q: Please advise if a visa is required for entry into Egypt for a British passport holder. If so can it be obtained at the point of entry? If not please let me know how to obtain a visa for a tourist. Q: We hold Mexican passports and we are traveling to Egypt. We have been told that we can get an Egyptian visa on arrival at the Cairo airport. Could you tell us if that is true? Q: My wife and I will be visiting Egypt via a tour that will be entering Egypt from Israel. I am an American. I have been told that I will need to get an entry visa before the tour begins. I will not be able to get one at the border. Is this true? A: Please try and get the visa in the US. It can be done by mail, or if you apply in person, you will receive it the same day. Contact the Egyptian Embassy or Consulate nearest you. Q: I�m Mexican and currently I�m working in Aachen, Germany. I�m very interesting in visiting Egypt. I heard that I need a visa to visit Egypt, is that true? If yes, would you please tell me where are located the Egyptian embassies in Europe (maybe one is near Aachen) in order to get my visa? A: You will need a visa. The Egyptian Embassy for Germany is in Bonn, and the Consulates are in Frankfurt and Hamburg.You may also obtain your visas at an Egyptian airport when you arrive. Q: We are traveling to Egypt and have our visa forms completed. What is the next best step? Either send it by post to the Consulate in London or use an agency to handle it? I am a little hesitant to do the latter as they charge �11.00 per visa to process it. A: You can always use express mail or submit the forms in person. Q: I�d like to know which documents are necessary to visit Egypt for tourism for one or two weeks. I�m an Italian citizen provided with an identity card. Is this sufficient or do I also need a passport to obtain a visa? A: You need a passport valid for at least six months to obtain a visa. Q: Please tell me of the nearest office to obtain a visa. I live halfway between Seattle and Portland, Washington (USA). A: Please contact the Egyptian Consulate in San Francisco, California. Tel (415) 346-9700; Fax (415) 346-9480. You may also obtain your visas at an Egyptian airport when you arrive. Q: I would like confirmation I can get a tourist visa at the airport on arrival. Can you confirm this? I will be arriving from Qatar. A: It depends on your nationality. Please contact the Egyptian Embassy or Consulate nearest you. Q: We have booked a tour for Egypt. I understand a visa is required. I called the Egyptian consulate in San Francisco and sent a request for visa applications. To date I have not received anything back from them. 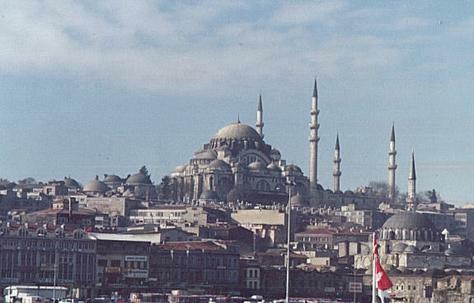 Is it possible to acquire a visa upon arrival? A: US Nationals may obtain their visas at an Egyptian airport when they arrive. Q: I had booked a holiday to Hurghada to go diving over the new year and was told by the travel agent that I would have to go to the Egyptian Embassy in London with a passport and photo to get a visa. Then the tour operator canceled its flights to Luxor and the travel agent offered me a week in Sharm El Sheikh instead. This I gladly took and was told that I would get a free visa for Sharm or by a visa on arrival at the airport if I want to go diving. As the main point of my holiday is to complete the PADI Rescue Diver course can you please confirm that I can get a visa at the airport in Sharm or do I need to take a day off to come up to the Embassy and get one in advance? A: Please contact the Egyptian Embassy in London with your situation. Q: We are traveling to Luxor from London. Can we obtain visas on arrival at the airport or must we obtain them in London before we leave? In either case what is the cost? We are both UK citizens. Q: My husband, daughter & I are planning a trip to Cairo. I realize that we need visas, but in order to get the visa, we have to send our passports to the embassy in Chicago. However, my daughter, who is 14 months old, hasn�t received her passport yet, and I am concerned that we will not have it in time to get our visas before we leave. I called the embassy and they told me not to get the visas in the US, but to wait until we reach Cairo and get all 3 visas at the airport. Since my daughter will only be 16 months old at the time of our visit, will she also need a visa? Secondly, we will be coming to Cairo from the Amman airport, after a 10 day visit in Jordan. Do we need any vaccinations, etc., before coming to Egypt? A: Your daughter needs a visa. You do not need any vaccinations. Please follow the advice given by the embassy in Chicago. Q: My wife and I will be visiting Egypt via a tour that will be entering Egypt from Israel. I aman American. I have been told that I will need to get an entry visa before the tour begins. I will not be able to get one at the border. Is this true? A: Would it be possible for you to obtain a visa before traveling? It is much more convenient. Contact the Egyptian Embassy or Consulate nearest you. Q: I am married to an Egyptian who recently had to go to Egypt for an emergency visit. He wants me to meet him there and us come home together. He seems to be under the impression that I don�t need a visa. He says that since I am his wife, I am automatically an Egyptian citizen. I asked the officials in the Government building where I got my passport and they said that they didn�t know and I should ask someone from Egypt who has a similar situation. A: As the wife of an Egyptian you can obtain a visa at the airport for free. However, you must provide proof of marriage otherwise you will have to pay the full fee. Q: How can I obtain tickets to Aida and other entertainment at the Cairo Opera House? Q: I am planning on visiting Egypt during the Millennium. How can I find out about Y2K information pertaining to Egypt. Q: We are four good friends traveling to Egypt during the millennium, and are wondering what the restrictions for bringing in alcohol to the country are. I mean, it is the new year and we would like to bring some. Especially champagne. Can we? A: Yes. Pets may enter Egypt provided you provide a certificate of origin and a health certificate. There are no forms for this, but a dated, signed letter is acceptable. The certificate of origin may be provided by the pet store where your pet was purchased or by a vet. The certificate of health must be provided by a vet. Q. Where can I get printed brochures, maps and other media about Egypt? However, we like the Freytag & Berndt map of Egypt that we found at Barnes and Noble, but this map does not seem to be available on-line. We believe these two books compliment each other and supply most of the information any traveler would need. http//www.art.com/ has literally hundreds of Egyptian related posters. Give it a search. Q. I wish to drive my car into Egypt. What is required to do this. A. Unfortunately this cannot be done. Some cars may be ferried in, but in general, you should not plan on bringing your car into Egypt. Once there, you may rent a car, but in many instances I cannot even advise you to do that. Particularly in Cairo, it is much safer to take a cab, due to the driving habits of most people in Cairo. Q. Am going to Egypt for the first time in March 2000 and would love some tips on taking pictures there. Film speeds, etc. appreciated. Also, places I should not missss. Also, travel tips. Some friends think I am crazy to go, some respect the idea that I am looking to experience a different culture than I have at home. Any info appreciated. A. With regard to taking photos in Egypt, thankfully, the main difficulty most people encounter is that they are spoiled for choice when it comes to things to shoot. Normally, I take a mixture of ISO/ASA 100 & 400 print film. This is due to the fact that you are, virtually guarenteed bright sunny conditions for outside photography, for which ISO/ASA 100 is ideal, whereas ISO/ASA 400 offers greater flexibilty for shots taken inside museums, temples, tombs. etc. Although I always recommend that people employ a polarising filter, to reduce glare & enhance the colour of the gloriously blue sky on outside photos & reduce the reflections from glass cases in museums (bear in mind also that most of the open tombs are now fitted with perspex screens to protect the walls from inadvertent damage), though if your camera can't be fitted with one it isn't a major problem. One advantage of the ISO/ASA 400 film is that, on most SLR cameras, it can be pushed/pulled in speed from ISO/ASA 100 - 1600, thus allowing it to be used for both brightly lit exteriors & the, somewhat darker, interiors of tombs & museums (In both these cases flash photography is not allowed, due to it having the potential to damage ancient paint - & also proving very distracting for other people.). for museums (but not the Karnak Open Air Museum) & LE5 per tomb. Although this is sometimes reported as being just a means of ripping off tourists, in some of the backpacker oriented guide books, the actual amounts involved; less than �1 - �2 (Sterling), are insignificant & do help in a big way to fund the activities of the Supreme Council of Antiquities. In respect of what I would consider unmissable, I am currently involved in writing a guide to the monuments that one will encounter on the "classic" first time tour of the Nile Valley; starting with the non-royal tombs of the Theban West Bank (as a lot of the shorter tours start & finish in Luxor & never actually make it as far north as Cairo). This should start to appear in the magazine, work schedules permitting over the next couple of months, &, hopefully, should be complete before your trip. Additionally, so many tourists listen so carefully to the spiel of the company rep (Don't do this, it's dangerous/You aren't insured) that they miss out on what is, probably, the greatest joy of any trip to Egypt, namely the chance to get out & encounter the Egyptian people outside of the context of hotel staff. This is a real tragedy, as they will never come to know a people who feel are without doubt the most friendly, welcoming, kind & generous in the world. Anyway, enough for now & as I say, watch this space for the magazine articles.